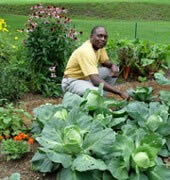 This is a special invitation to submit your own gardening articles for publishing here at Veggie Gardening Tips. Whether you’re a professional gardener or writer, a garden blogger, or a home gardener with useful information to share, let Veggie Gardening Tips be the forum to spread your ideas and expertise. In return you will be credited with the submission, have a short bio run alongside the article, receive links back to your blog or website, and enjoy the satisfaction of sharing your ideas with other gardeners from around the world. The article must be original content created by you and cannot be duplicated on any other site, including your own. The content remains yours, but you are granting the right to post it exclusively on the Veggie Gardening Tips site indefinitely. If you have photos that would illustrate the work that you are submitting feel free to attach the digital images, but they may or may not be used if your article is published. I may also substitute or add alternate photos, links, or images as part of any published article. No affiliate links may be included with your article or bio. You’re welcome to include a bio and a link or two to your own blog or website but your article should offer practical advice and gardening information to the readers of this blog rather than promote a specific product or service. Let your knowledge and expertise fuel further interest in your business or personal interests and people will reach out to you. Thank you for your interest in contributing an article to Veggie Gardening Tips, and for passing along your gardening knowledge to others.